In most cases anterior knee pain when running or squatting (or lunging, walking hills or sitting with bent legs!) is the result of patello-femoral joint syndrome. Patellofemoral pain syndrome is one of the most common knee complaints we see here in the clinic. It’s the umbrella term for pain felt behind your kneecap, where your patella (kneecap) articulates with your thigh bone (femur). This joint is known as your patellofemoral joint. 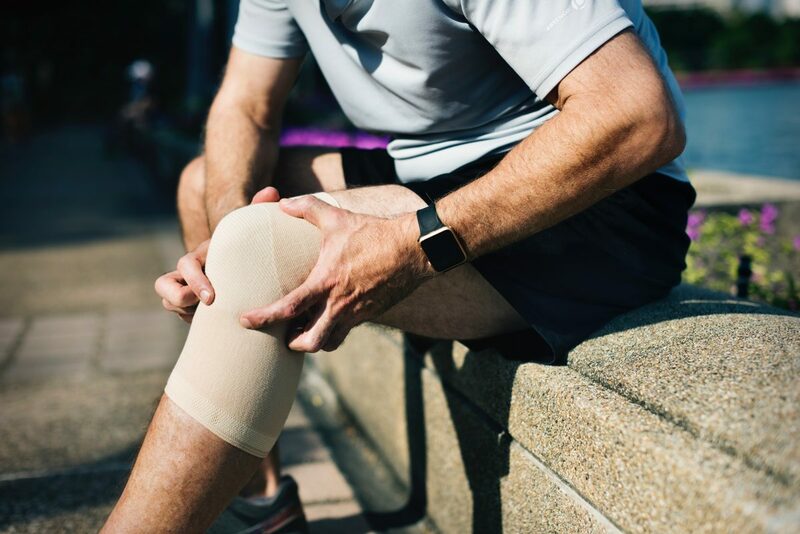 Patellofemoral pain syndrome is the result of excessive pressure between your knee cap and thigh bone from poor patellar alignment, which over time affects the joint surface behind the kneecap and leads to dysfunction and difficulty participating in the things you love. In a healthy, pain-free knee, the patella glides up and down through a groove in your thigh bone as you bend and straighten your knee. As the knee bends, pressure between your kneecap and the groove increases. This is why activities involving deep knee bend like squats and lunges are two of the more common complaints for people suffering from patellofemoral pain. The patellofemoral joint pressure is further increased if the patella ‘doesn’t track in an ideal fashion’, meaning it glides in a non-ideal alignment and rubs against the femur (thigh bone). When this occurs pain is often more severe and debilitating and may be felt even when resting or sitting. The most common causes of patellar mal-alignment are an increased spike in loading including hills or speed work, abnormal muscle imbalance and poor biomechanical control. We see this on assessment when the knee wants to collapse inwards during activities such as a single leg squat, with wasting of the inner quadriceps muscle on observation, or poor pelvic alignment and control on tasks including squatting, lunging and jumping. Manage your load. If you’re battling knee pain unfortunately you’ll need to swallow your pride and incorporate rest days and ensure hill and speed work are kept to a minimum whilst things settle. Strength train: research shows exercise of the hip and thigh twice a week resulted in better outcomes than hands on therapy including massage and dry needling. We preach it cause it works – get strong to feel better. 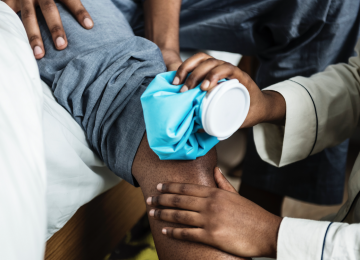 Strength work can be used in conjunction with taping and other modalities even in the acute stage to help settle symptoms as well as address the underlying cause for your pain. Seek to improve hip and knee biomechanics when running. This will normally improve somewhat with strength training and improving strength in the right areas, however some small alterations to running technique through verbal cuing may be required also. We take the approach “don’t change something that’s not broken”. 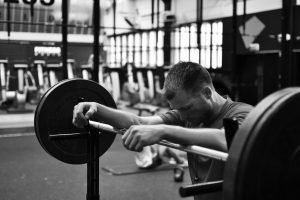 There are things that are ‘better bang for buck’ than altering running technique such as strength training and load management, but if you’re a runner and things are not progressing as we’d like, small tweaks to your running technique may be necessary. Be careful of “rolling your ITB”. The ITB is a passive structure and you can roll it until the cows come home, it’s not going to change length. Focus on your outer quad, hip and glute instead for short term relief. If you’re a runner, focus on quicker, shorter steps when running. In running terms, this is called increasing your cadence. Research shows a 5-10% increase in your cadence can reduce the force on your knee by up to 20% and can lessen your discomfort as a result. Be patient. This is a condition that takes time. Stay the course, put in the work and get back to running pain free. As always, if you need help with a management plan to get you back to your physical best and doing all that you love, call the clinic on 8490 0777 or book online here. We treat knee pain like this everyday and love to help! Alternatively, if you have a question regarding your knee, feel free to fill out the enquiry form below and one of our experienced physiotherapists will get in touch to discuss your problem in more detail.